On any given night, it’s estimated over 39,000 military veterans are homeless according to the U.S. Department of Housing and Urban Development (HUD). That’s a small city of men and women who served our country and now have no place to call home. Homelessness among America’s veterans cuts across all branches and military conflicts. Two-thirds served our country for at least three years; one-third were stationed in a war zone. Their homeless situation is often related to mental illness, alcohol and/or substance abuse. Last month, the Department of Veterans Affairs (VA) announced $188 million in federal grants for two programs to benefit homeless veterans. In addition, many local initiatives address homeless veterans in local communities. One of these, Veterans Community Project, is building a Veterans Village of tiny, freestanding homes for homeless veterans utilizing a range of services that will support these courageous men and women who took the oath to serve our country. Veterans Village is the vision of Marine veteran Kevin Jamison and Army veteran Chris Stout. 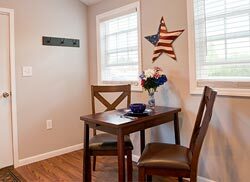 Their mission is to build 50 tiny homes in the greater Kansas City area to give homeless veterans transitional housing that provides personal privacy, a sense of security, and the opportunity to reintegrate into the urban community. Veteran services will be available through an onsite community center providing mentoring, case management, counseling, and links to other programs and services. The Veterans Community Project hopes the Kansas City Veterans Village will become a blueprint for other cities to address their own population of homeless veterans. 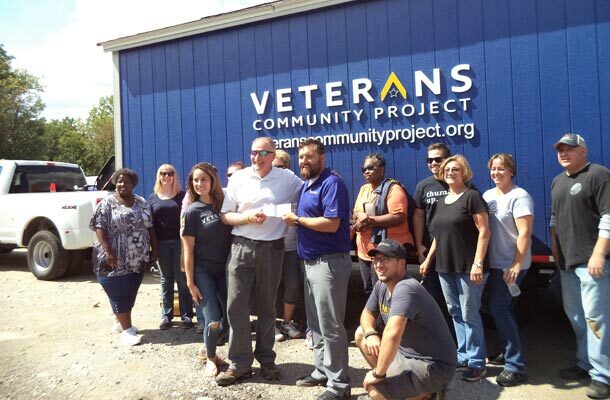 Uniformed Services Benefit Association (USBA) and New York Life Insurance Company, USBA’s insurance underwriter, are proud sponsors of one of the tiny homes to be built in the Veterans Village. Follow USBA on Twitter (@usba_insurance) and Facebook to watch the house go up in early spring 2018 . If you know a homeless or at-risk veteran, services are available by calling the 24/7 VA hotline at 877-424-3838.